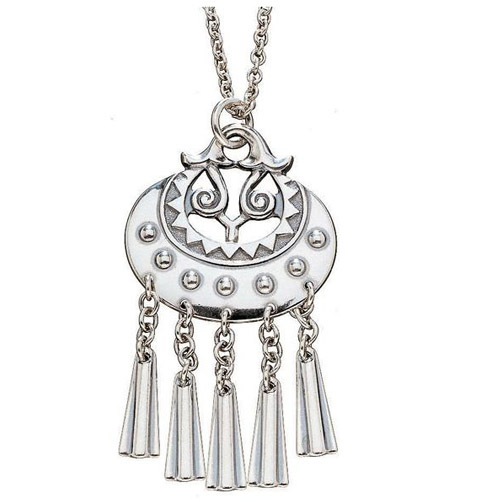 More about Kalevala Moon Goddess Silver Pendant Necklace The silver Moon Goddess pendant by Kalevala features delicate details and eye-catching embellishments. 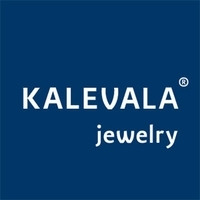 It is a perfect example of Kalevala’s ability to translate ancient motifs into stunning modern jewelry. Viking motifs were brought to Finland via Viking trade routes. Drawing on Viking influences in their jewelry making, the Finns added a distinct style. These pieces inspired later designers to create jewelry like the Moon Goddess earrings and pendant, which capture the spirit of the Vikings. Made in Finland. This was smaller and lighter weight than expected for the price. Iâ€™ve gotten other necklaces from here that had more heft to them. 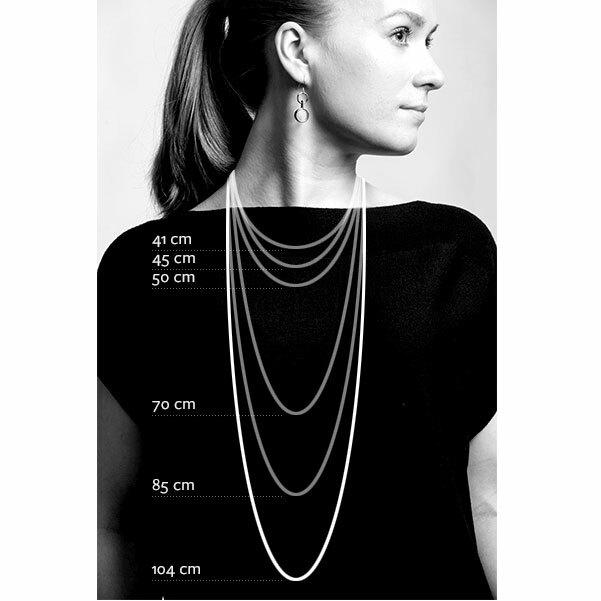 A pendant is usually more substantial. This almost feels like an earring design. But two would be too exp mauve. ProsIt slips over my head without having to undo clasp which is helpful. Great item my wife loved it. Love this necklace...it is gorgeous...beautifully made ...exquisite! ProsThe size is perfect, not too big, not too small. Love the details. I'm very pleased with this pendant. It's the perfect size and very pretty. I ordered this necklace after two years of looking at it. We had a high school foreign exchange student live with us for her exchange year and I have fallen in love with Finland and all things Finnish. This is a beautiful necklace. The chain is long and sometimes I will use a shorter chain depending on what I wear but I always receive many compliments when wearing it. Thank you!!! 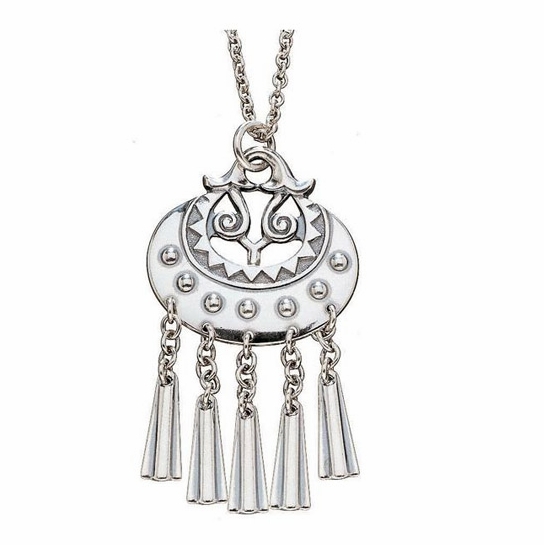 This necklace is stunning; people comment on how beautiful it is every time I wear it. Is there any Nickel in the Silver? If so, what percentage? Hello, Then chain is 24"